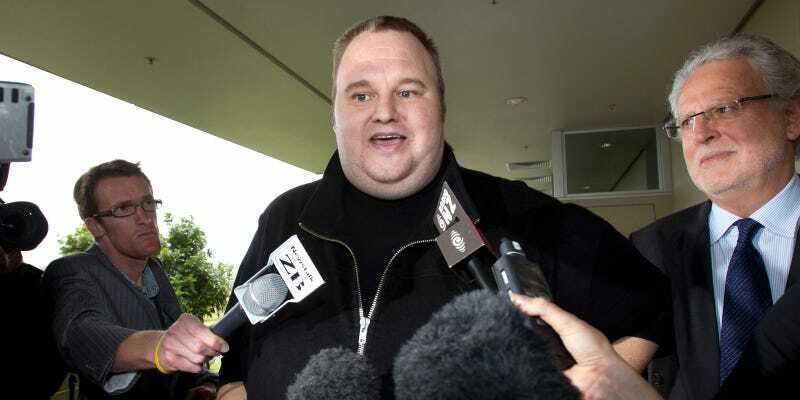 A court in New Zealand has judged that Kim Dotcom can be extradited to the U.S., where he could face trial over huge copyright infringements speculated to have cost music and movie companies in the region of $500m. The court ruled that Dotcom, along with three other defendants—Mathias Ortmann, Bram van der Kolk, and Finn Batato— can be extradited to the U.S. to face charges that may include racketeering, money laundering and copyright infringement. The judge referred to a “large body of evidence” that would support the case. Dotcom has been involved with legal wrangling over his file sharing site Megaupload for almost four years. The FBI shut down the site in 2012 over piracy claims, by which time it had generated $175m in illegal profit while denying the film and music industry $500m. The Financial Times reports that, upon leaving court today, Dotcom was heard to say he was “disappointed.” It’s believed he will appeal the ruling in the New Year, but things could get sticky for Dotcom if that fails. If found guilty of the charges outlined in the New Zealand hearing, the Financial Times claims he could face up to 20 years in prison.